. Wardlaw © Iain Macaulay and licensed for reuse. 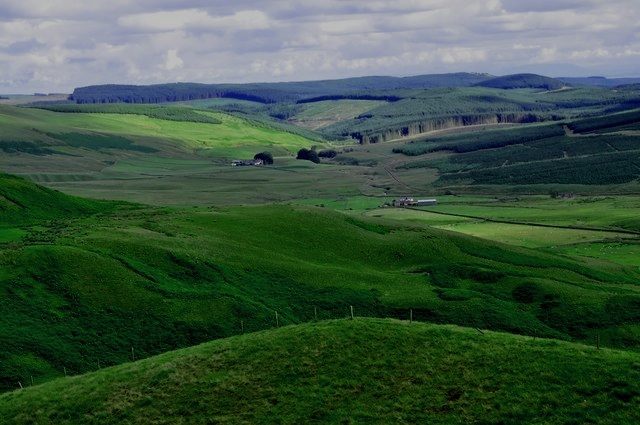 After Renwick preached Green Cleugh on 18 July, 1686, and in northern England, he returned to Scotland, where he preached at Wardlaw, a hill on the southern skirt of Polgavin Moor in Kirkmahoe parish, Nithsdale, on Sunday 15 August. His sermon was on Hebrews 13.13-14:‘Let us go forth therefore unto him without the camp, bearing his reproach. For here have we no continuing city, but we seek one to come.’ The general theme was probably about enduring persecution and the Lord’s eventual triumph. He preached to around 300 people, of whom around two dozen were armed. Those who were identified as attending the preaching generally came from the surrounding parishes of Dumfries, Closeburn, Kirkmahoe, Tinwald, Torthorwald and Lochmaben. The Wardlaw preaching took place at night. The sun probably set just before 9pm and Renwick appears not to have begun preaching until at least an hour later. Over a dozen torches were used to light the preaching. The preaching is usual in having one of the few known references to Renwick using a preaching tent, as one hearer mentioned that James Harkness ‘stood [guard?] at the tent door’. Preaching tents were small, temporary and portable wooden or canvas structures which allowed the minister to be seen by the whole congregation at outdoor preachings. According to one source, the congregation at Wardlaw were urged to sit down, probably to allow everyone to see and hear Renwick preach from the tent. During the sermon, James Corson, who commanded the armed Society people, moved through the congregation. The authorities first received intelligence of Renwick’s preaching a week later on the night of 22 August when the Laird of Garnsalloch, or Carnsalloch, and several others sent a letter to Lieutenant James Stewart of the King’s Regiment of Horse at Dumfries. Stewart initially held a single prisoner from the Wardlaw preaching. They were probably held in Dumfries Tolbooth. A captured fugitive. She and others provided Stewart with ‘a list of ten or tuelve more who I doubt not to take this night’. She was not sent on to Edinburgh after the suspects were rounded up. The intelligence provided by Bessie Bekett and Carnshalloch’s letter probably led to the capture of Jean Currie (No. 2), William Beck (No.3) and John McQueen (No.12). Tinwald © Kevin Rae and licensed for reuse. 2. Jean Currie, Tinwald, Tinwald parish. She was then interrogated by Lord William Douglas, who was the captain of Stewart’s troop in the King’s Regiment of Horse. Douglas was the second son of the Duke of Queensberry. His uncle was Colonel James Douglas. On 16 June, 1684, he was commissioned in the same regiment as a lieutenant under his elder brother, James Douglas, Lord Drumlanrig. He was quickly promoted to captain of a new troop of horse formed on 4 December. In 1695, William of Orange made him earl of March. He died in 1705. (Dalton, Scots Army, 135, 136, 137n., 142. She was not sent on to Edinburgh with the other prisoners. 3. William Beck, Auchencairn, Kirkmahoe parish. He was sent on to Edinburgh for further examination. 4. Robert Ireland, Auchencairn, Kirkmahoe parish. A neighbour of Beck (No.3) and identified by him. Ireland was not captured. 5. Susanna Thomson, Auchencairn, Kirkmahoe parish. Another neighbour of Beck (No.3) and identified by him. Like Beck, Thomson was also informed of the preaching by Jean Currie. She was not captured. 6. Janet Martin, a cottar in Townfoot of Auchencairn, Kirkmahoe parish. Yet another neighbour of Beck (No.3) and identified by him, Martin was not captured. 7. Marie Corbett, Townfoot of Auchencairn, Kirkmahoe parish. A fourth neighbour of Beck (No.3) and identified by him. Corbett was not captured. 8. Anonymous woman, Lochmaben, Lochmaben parish. William Beck (No.3) identified her as the first to inform him about the preaching, but he gave no name for her. She was not captured. 9. John Rennie in Hartbush, Tinwald parish. The final individual identified by William Beck (No.3) was John Rainie in Hartbush. He was interrogated by Captain William Douglas on 28 August. ‘Jon Ranie taken and confesses’. He was sent on to Edinburgh. 10. William McVittie, Hartbush, Tinwald parish. According to John Rennie (No.9), McVittie both informed him of the Wardlaw preaching and attended it. McVittie was not captured after the preaching. 11. 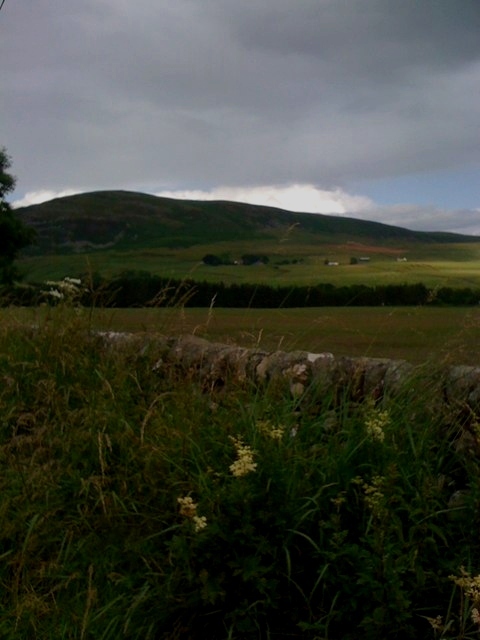 James Robson, Auchenflowerhill, Tinwald parish. According to John Rennie (No.9), Robson attended Renwick’s Wardlaw preaching. Robson was not captured after the preaching. 12. John McQueen in Cotimpan, Tinwald parish. McQueen was also apprehended by Lieutenant Stewart on the night of 23 to 24 August. His name is recorded in various forms in the sources including ‘M’Quein’. Cotimpan, or ‘Cott Tempen’ as it appears on Roy’s map, used to lie to the north of Amishield House/Glenae House. It had vanished by the mid-nineteenth century. He, too, was sent on to Edinburgh. 13. Robert Lister at Tinwald Kirk, Tinwald parish. Lister presumably lived close to Tinwald Kirk. He was identified by John McQueen (No.12) of Tinwald parish as present at the preaching. Douglas had an obvious interest in his father’s tenants not being present at the preaching. Lister was sent on to Edinburgh for further interrogation. 14. John Faed, Newlands, Kirkmahoe parish. He was also sent on to Edinburgh. 15. William Faed, Newlands, Kirkmahoe parish. A boy identified by John McQueen (No.12) as present at the preaching. 16. Janet Brane, Gledenholm, Kirkmahoe parish. Identified by John McQueen (No.12) as present at the preaching. 17. James Wallace, Gledenholm, Kirkmahoe parish. Identified by John McQueen (No.12) as present at the preaching. He was not captured after Wardlaw. 18 & 19. John Brane and his wife in Gledenholm, Kirkmahoe parish. According to McQueen (No.12), they had their child baptised by Renwick at Wardlaw. They were not captured after the preaching. According to McQueen (No.12), Gillespie was disciplined at Renwick’s field preaching for fornication. He was not captured. The Benloch Burn at Bank © David Brown and licensed for reuse. 21 & 22. Edward Welsh and William Welsh, chapmen/packmen. Bank, Carsphairn parish, Kirkcudbrightshire. 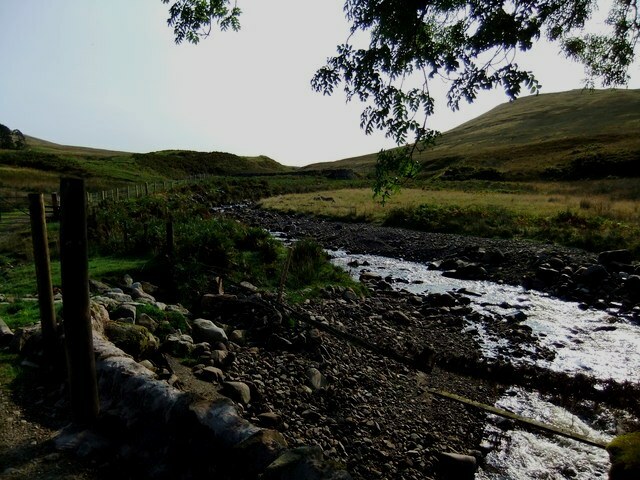 Bank lay where the Benloch burn where it meets the Water of Deugh in Carsphairn parish. 23 & 24. ‘——–’ Welsh and ‘——–’ Welsh, in Bettyknowes, Lochrutton parish, Kirkcudbrightshire. John McQueen (No.12) identified that the two Welsh sisters attended the Wardlaw preaching. They were the sisters of Edward and William Welsh (Nos.21 & 22). They were not captured after the Wardlaw preaching. Locherben © Mike Green and licensed for reuse. 25. James Harkness, Locherben, Closeburn parish. Harness was identified by John McQueen (No.12) as present at the preaching. Harkness was well-known Societies’ activist who had led the daring rescue at the Enterkin Pass in 1684. He was not captured after Polgavin and played a key role in the Societies part in the Revolution of 1688 to 1689. He was not captured after the preaching. ‘A rebel’ identified by John Faed (No.14) as present at the Wardlaw preaching. Cowan was not captured after the preaching. 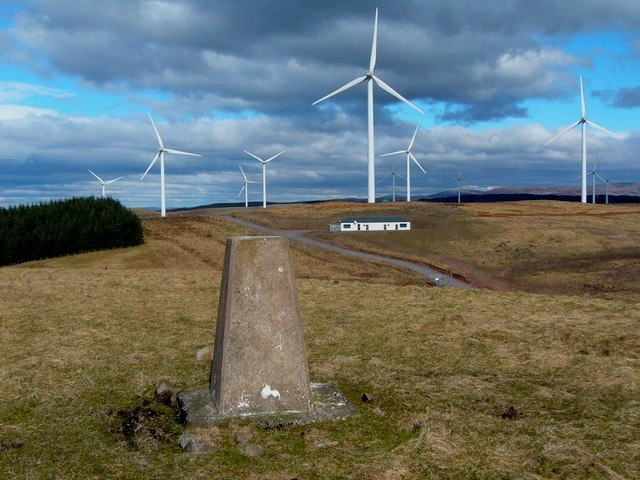 If Stewart’s intelligence was correct, then Renwick may have preached on the border between Annandale and Nithsdale on Sunday 23 August. After the Wardlaw preaching, Renwick attended the Societies’ thirtieth convention at Blackgannoch in Sanquhar parish on 18 August. Stewart appears to have been convinced that the Coultart brother knew more than they admitted. 28 & 29. James and Michael Coultart, or Coulthard, in Roucan, Torthorwald parish. Robert Lister (No.13.) confirmed that they had attended the Wardlaw preaching on 28 August. ‘James Coutart, prisoner for being at a conventicle near Lauder [, a error for Polgavin,] with [James] Reny, which he acknowledges and is sory for; owns his Majesties authoritie and prayes heartily for him, and offers to enact himselfe never to ryse in arms against his Majestie or to goe to conventicles hereafter, and to live peaceablie and orderlie. Townhead of Auchenleck © Darrin Antrobus and licensed for reuse. By 28 August the tally of prisoners had increased to thirteen. Among those brought before Lord William Douglas at Dumfries on that date were two new prisoners from Closeburn parish. 30. James Gowdie in Auchenleck in Closeburn parish. Auchenleck is now called Townhead. It appears on Roy’s map of the 1750s as ‘Townhead of Achinlathan’ and on Thomson’s map of 1832 as ‘Auchenleck’. Closeburnmill © Ian Paterson and licensed for reuse. 31. 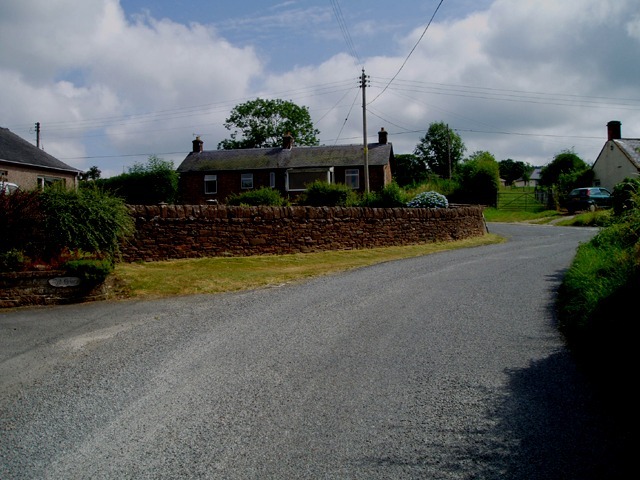 John M’Kein in Closeburnmill, Closeburn parish. 32 & 33. John Wallace, miller, and his wife in Closeburnmill, Closeburn parish. 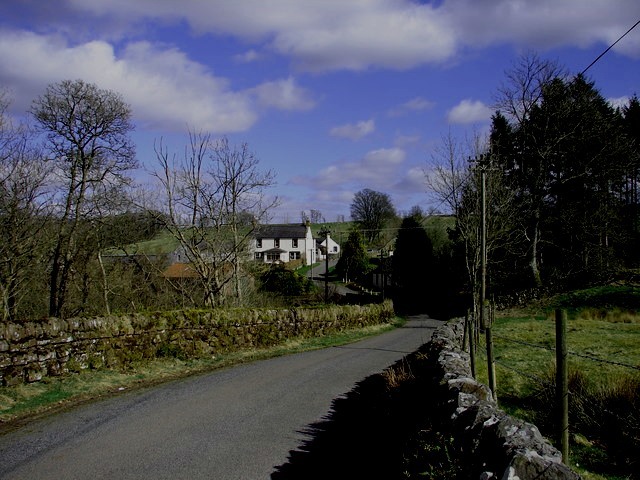 According to James Gowdie (No.30) and John M’Kein (No.31), John Wallace, the miller at Closeburnmill, and his wife had a child named Robert baptised by Renwick at the Wardlaw preaching. They were not captured after the preaching. Of the thirty-three individuals identified as attending the preaching, thirteen were taken prisoner. Of those, nine were sent on from Dumfries to Edinburgh. The four prisoners who remained behind were three women, Bessie Bekett (No.1), Jean Currie (No.2) and Janet Brane (No.16), and the young William Faed (No.15), who had been released. 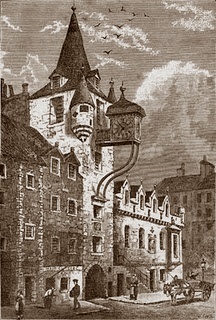 The prisoners were placed the Canongate Tolbooth on 31 August, 1686. ‘For his Excellence, General [William[ Drummond. All nine prisoners sent to Edinburgh were released. ~ by drmarkjardine on January 16, 2013.